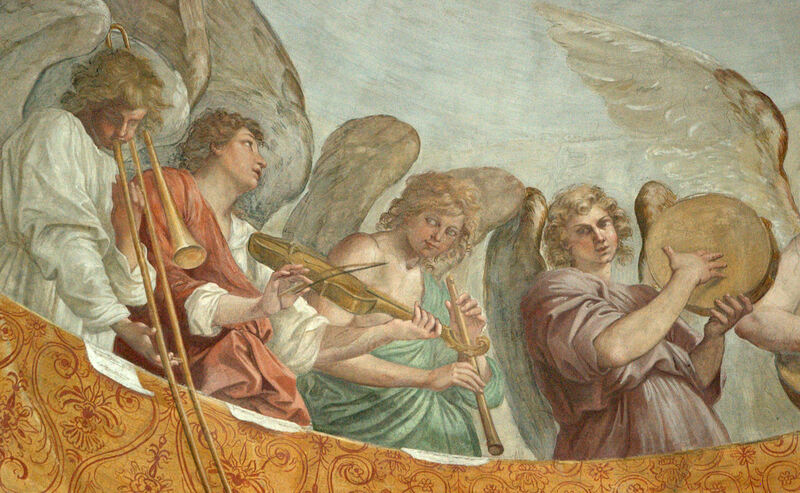 Added the below image and caption to the Trombone History Timeline (19th Century, 2nd half). c. 1880—Vorstudium für den Pfingstchoral, an engraving after Th. 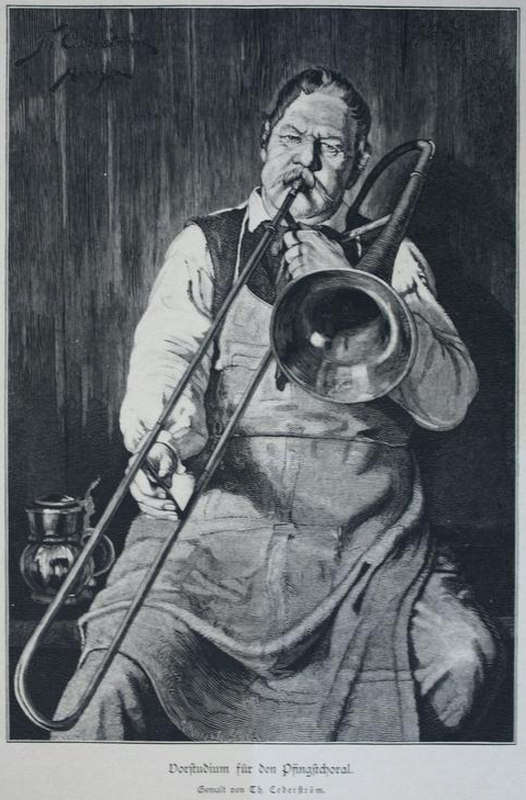 Lederström, features an aproned trombonist (see below image; public domain). wkimball, thank you ever so for you post.Much thanks again.